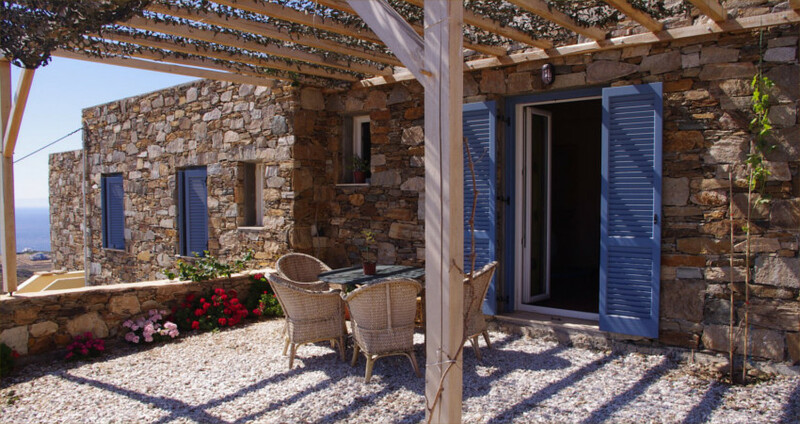 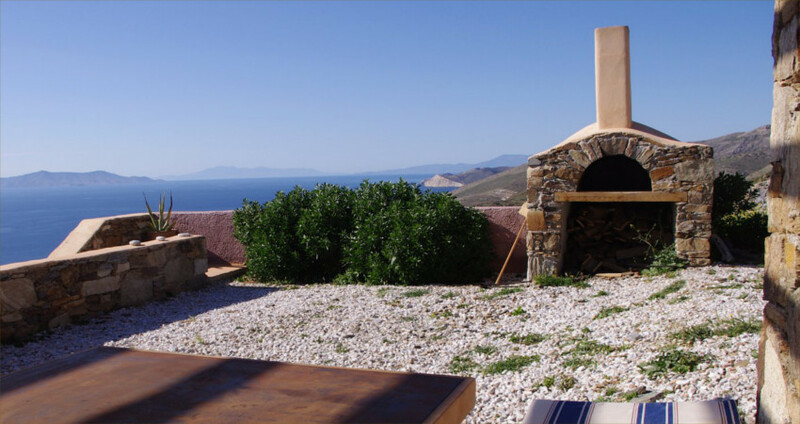 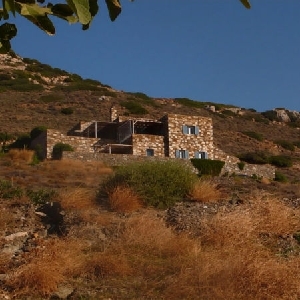 A beautiful 2-storey stone house, built using local, naturally coloured Syros stone, only a few minutes away from the beautiful sandy beaches of "Kini" and "Lotos". 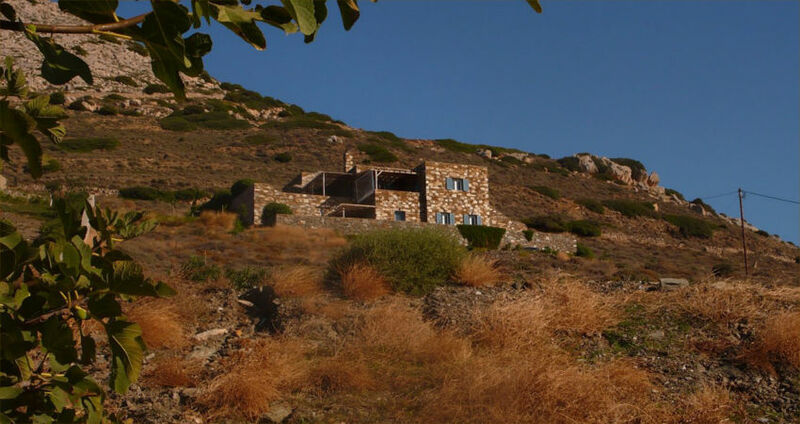 With a total gross floor area of 330 m² within a plot of 4,200 m², the house consists of 6 bedrooms, 2 kitchens, 3 bathrooms and a large garage.It has a wonderful view over the Aegean sea, including 7 Cycladic islands and allows you to eperience the wonderful sunset all year round. 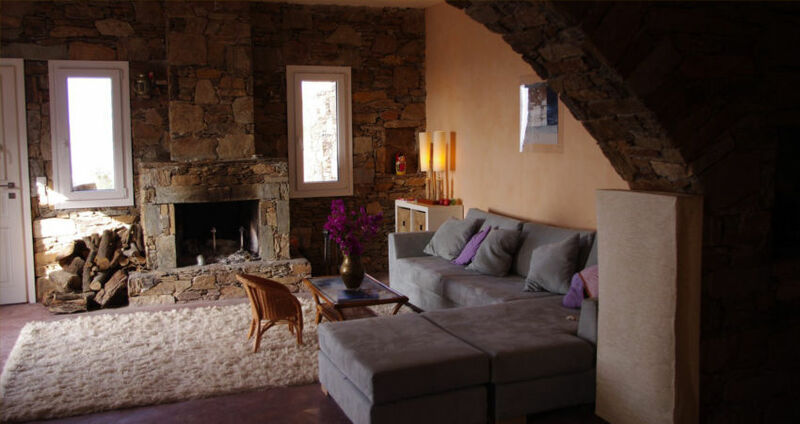 (a) The sunny and airy main house includes a double living-room, with a stone arch and a fire place, a kitchen, 4 bedrooms, 2 bathrooms and 3 W.C. 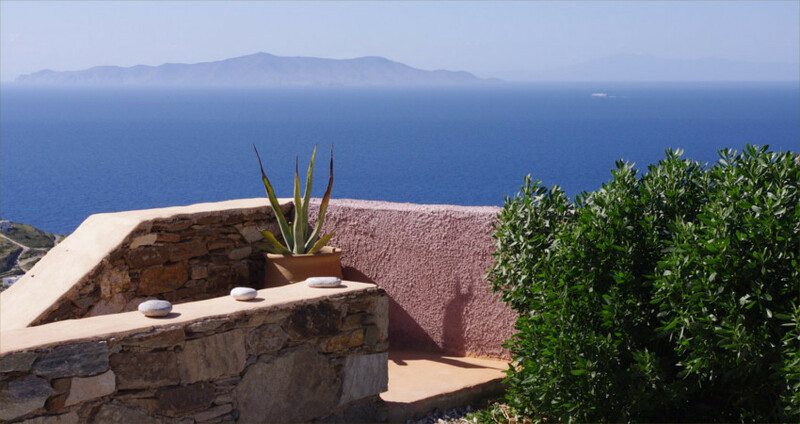 The kitchen and living room provide access to a protected terrace with view to the West and North. 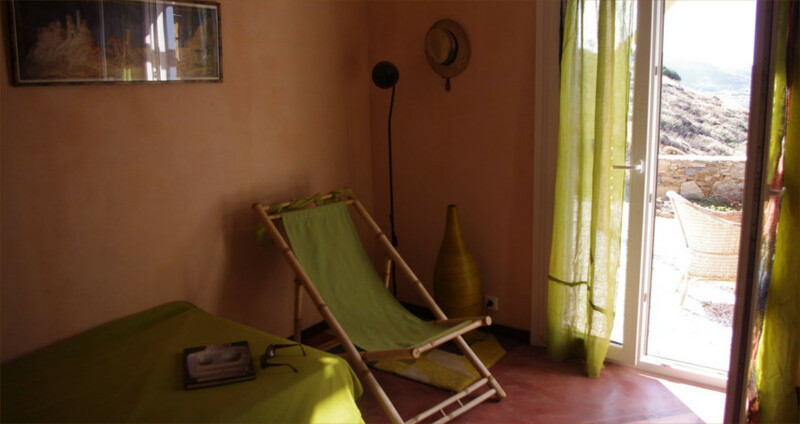 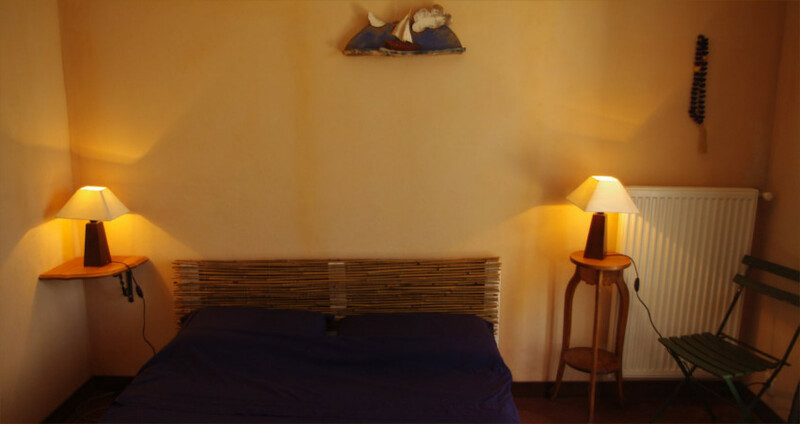 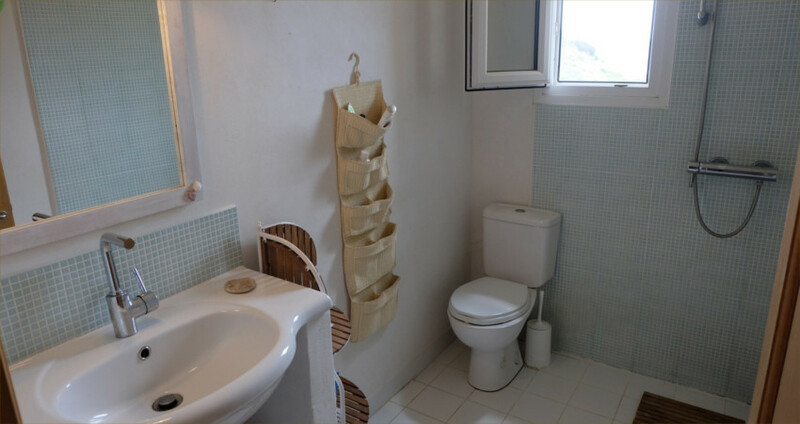 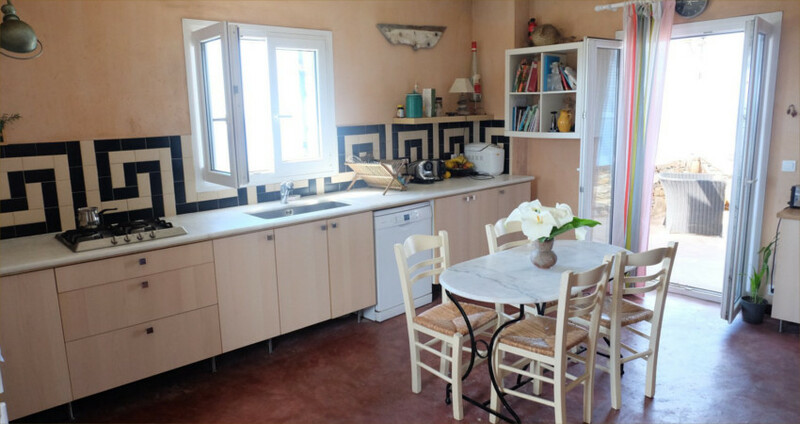 (b) A guest house of 60m² with a kitchen, 2 bedrooms and a spacious bathroom. 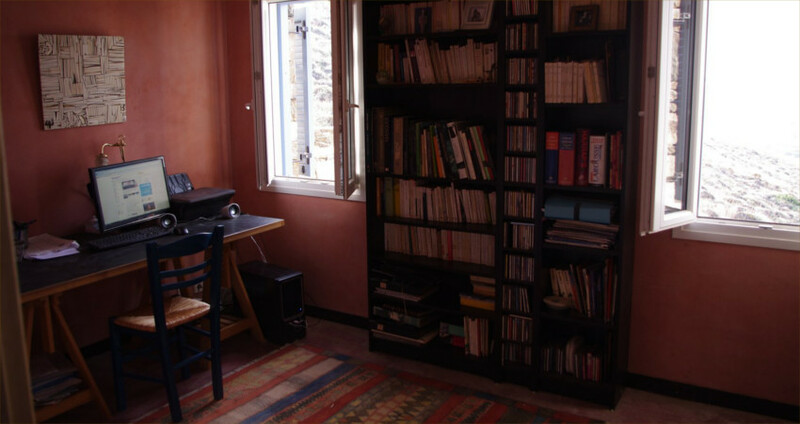 (c) A large garage and workshop. 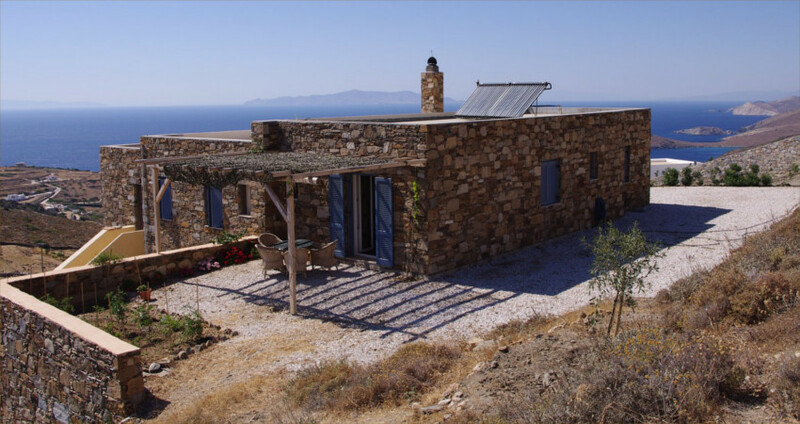 The house comes with a large water tank for collecting rain water, central heating (with a boiler/fire place and thermic tubes solar technology system) and solr panel system for heating the water.There are totaly 4 pergolas offering shade during the warm days of summer. 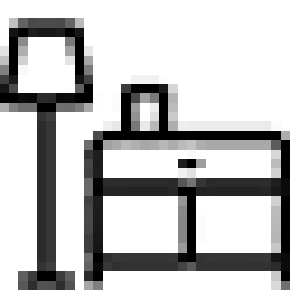 7 - 8 = ?